"I couldn't move. I would tell myself I need to move, but I just physically couldn't." That's how one central Illinois man described his experience using synthetic marijuana. Full disclosure, this person is a friend. He wished to remain anonymous. He said he first tried fake pot, commonly called by brand names like K2 or Spice, as a freshman in college nearly a decade ago. "It was the big thing in the town where I went to junior college," he said. "There was the stuff called K2 that you could just go buy. They didn't card you or (anything). You'd just go buy it and it was like 10 times worse than actual weed." Synthetic weed was not illegal in Illinois until 2012. It was often sold at gas stations and convenience stores. Even today, drug dealers attempt to skirt current laws by tweaking the man-made mixture of chemicals used to make the drugs or by labeling them "not for human consumption." A measure recently signed into law by Gov. Bruce Rauner aims to make all synthetic cannabinoids illegal rather than specific chemical formulas. State Sen. Jacqueline Collins (D-Chicago) sponsored the legislation and said it is necessary to help combat the use of these fake drugs. According to data from the Illinois Poison Center, 2011 had the highest number of exposures to synthetic cannabinoids with 303. 2015 is the only other year to reach triple digits with 108 reported exposures. Despite the lower numbers in recent years, health professionals say this should not give people the illusion that the drugs are getting safer. 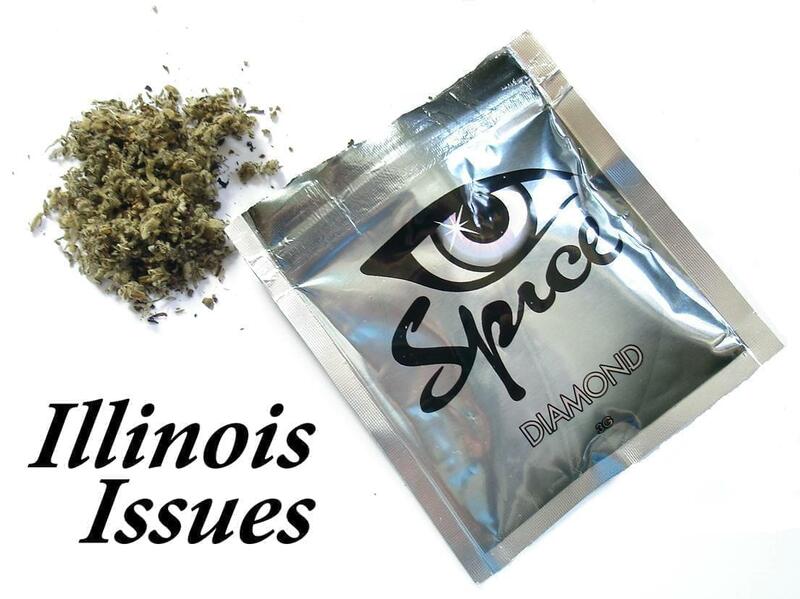 In fact, this spring Illinois experienced a deadly outbreak of severe bleeding cases caused by synthetic cannabinoids. Patients reportedly were coughing up blood or had blood in their urine, nose, or gums. Four people died and dozens more were sickened by products that were infused with chemicals found in rat poison. Since the products are manufactured in a laboratory, the chemical components are not always known, which makes them incredibly dangerous. "The safety profile for any of these things are unknown," said Dr. Mike Wahl with the Illinois Poison Center. "Then the dose... what's the right dose versus the lethal dose? It's essentially trial and error and patients are the research Guinea pigs on this." Sergeant Jake Duro is a former drug recognition expert with the Illinois State Police and currently works in an undercover narcotics unit. He said making these products is simple. He described K2 as a "powder" substance that looks similar to cocaine. Dealers will often mix it with some type of dried, inert plant and nail polish remover, which infuses the K2 into the leaves. Typically the K2 is purchased from China and the product even comes with packaging supplies. "With your packaging from China, comes those little baggies too," said Duro. "You just take it and bag it up yourself." When speaking with Duro, I described my friend's reaction to K2. He said this type of response was not unusual. He also said that people who regularly use marijuana don't "mess around" with the synthetic form. "It doesn't react in the body like the other cannabinoids do," he said. "It's almost like a stimulus effect. People rage, have severe trips, do crazy things. If you're the type of person that likes weed, that's not what you're looking for. They're usually looking to chill and calm down. They're not looking to go crazy and K2 does that." Jill Crum, the Director of Behavioral Health Services at HSHS St. Mary's Hospital in Decatur said that anonymity is often why patients choose the avenue of fake weed, rather than marijuana. "They don't show up in a drug screen," she said. "Probation, drug treatment, any of those agencies will typically test for marijuana. Some people do it because they want the high but they want to avoid the legal implications of having it in their urine." Laboratories can test for synthetic marijuana, but it has to be specifically requested which can result in additional costs. Synthetic cannabis is also appealing to some because they believe the product is safer. My friend said that, despite the intense side effects, many of his friends believed the drugs were safe since they were not illegal. Crum said, even with current laws, some people still believe this. "Especially kids, teenagers," she said. "They think, 'well, this is sold at the gas station. It says natural.' They think it's natural and they don't know what they're getting themselves into." 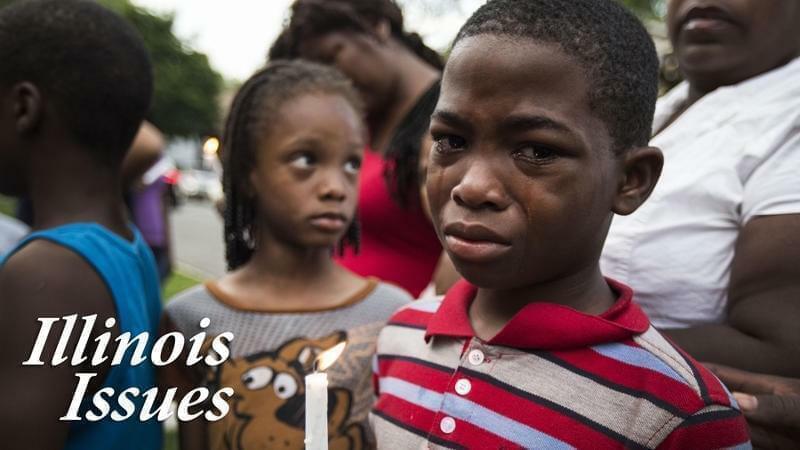 According to information from the Centers for Disease Control and Prevention, Illinois was hit the hardest by the deadly outbreak this spring and most of the severe bleeding cases took place in the Midwest. However, Florida, Virginia, and Pennsylvania were affected as well, which leads experts to believe that the misuse of synthetic marijuana is still a relevant issue and a nationwide concern.